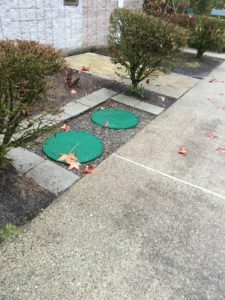 If you are having septic drain field problems in your Steilacoom, WA property and are looking for a reputable septic company that specializes in leach field repair, you have come to the right place. We make sure that whatever problems your septic drain field may have been dealt with efficiently and with lasting leach field repair solutions. The drain field is a critical component of the septic system on your property. You must make sure that the septic drain field construction is done using the finest in men and materials. Diligent maintenance of the leach field is also something you cannot ignore. When, just like with any other system, septic drain field problems crop up, make sure to call only technicians with proven skills in leach field repair. In the Steilacoom area let us take care of all your needs for drain field repair. We are staffed by seasoned technicians who have in-depth knowledge of how leach fields work. 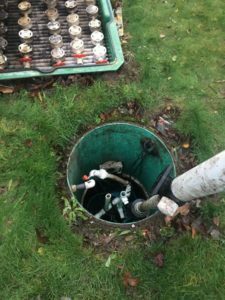 They also realize that the finesse in their drain field repair work will have a major impact on the efficiency, reliability, and durability of the septic system. The septic system installed in your home or commercial property is too important and costly to be handled by just anyone. Do not even think of DIY drain field replacement or repair when it appears you have an over-saturated leach field. Contact us without further delay to schedule your drain field repair job and receive a free estimate on the leach field repair cost. Call (253) 777-4887 for top-notch leach field repair services in the Steilacoom area from VAC-TEC LLC.